Sold It Realty specialise in residential sales and property management throughout the Peel and metropolitan area of Western Australia. Their mission is to provide a customer service with Integrity and achieve a successful outcome, whether selling or leasing a property. 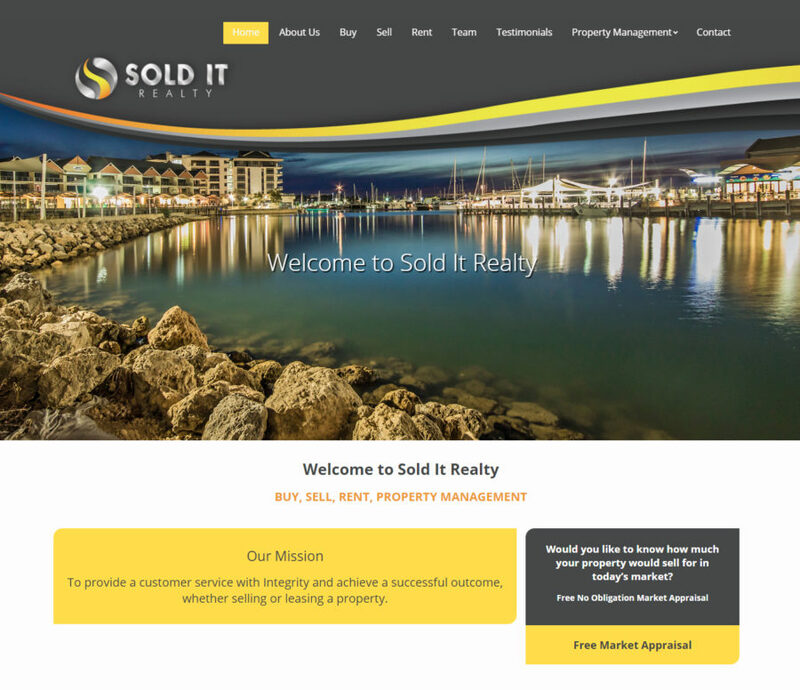 The Sold It Realty website presented a new challenge for the Mandurah Graphics crew with its automated property listing feed importing data from the MyDesktop CRM every few hours. Users can search and filter through the properties listed on the site, each property having it’s own description, features list, property gallery, Google Map, and linked agent profile.